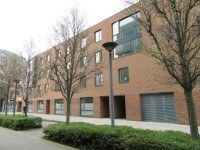 The Mile End campus is located just off the Mile End Road / A11. This road links the City of London with the A12. The A12 then links to the North Circular Road (and the A11 off that) and the M25. 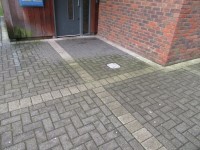 There are Blue Badge bays located throughout the campus, which can be used by anyone with a valid Blue Badge. 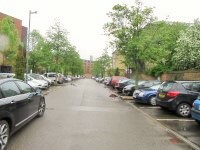 Car parking is available on campus for staff permit holders. Temporary permits are available for visitors and contractors by prior arrangement. The campus can be accessed via bus 25 (Oxford Circus to Ilford), 205 (Paddington Station to Bow Church DLR Station) and 339 (Shadwell Station to Leytonstone Station). The nearest railway stations are Liverpool Street Station and Fenchurch Street Station. However, all of the London Terminal stations are within reach of the campus using public transport. 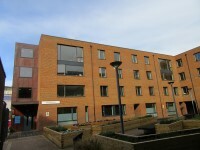 The campus is located between Mile End (on the Hammersmith and City, District and Central lines) and Stepney Green (on the Hammersmith and City and District lines) underground stations. For more information, please see the How To Find Us page on the University Website. Please see the Transport for London website for more details on travelling to the campus by bus or tube. Please see the National Rail website for details trains into London. To see more information on Disability and Dyslexia Service (DDS) please click here (opens new tab). Telephone Number: 020 7882 2756. To see more information on Student Enquiry Centre please click here (opens new tab). Telephone Number: 020 7882 8478 (for prospective and applicant UG Medicine and Dentistry Students; 020 7882 5511 for all other prospective and applicant students). Telephone Number: 0800 376 1800 (UK callers only) or 020 7882 5511. To see more information on Residences Office please click here (opens new tab). Telephone Number: 020 7882 5522. 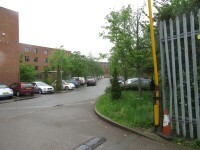 You are on Site/Campus Car Park (Staff Car Park). Skip to the next section. 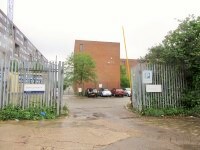 The car park is located off Longnor Road. 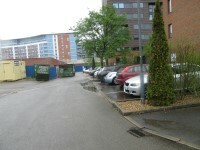 The nearest building(s) to this car park is/are The Curve, Feilden House, Housing Hub. 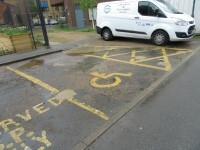 There is/are 5 designated Blue Badge parking bay(s) within this car park. 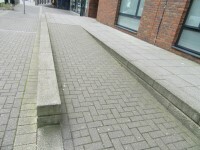 The dimensions of the designated parking bay(s) are 250cm x 470cm (8ft 2in x 15ft 5in). 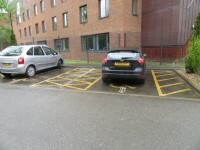 This car park can be used by staff, Blue Badge holders and permit holders. There are no parking charges. Signs are provided to give information on parking charges/restrictions. 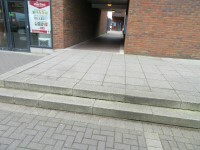 There is sloped access to the car park from the Westfield Way. This car park is not clearly signposted from the Curve. The nearest designated bay is 44m (48yd 4in) from the Curve. 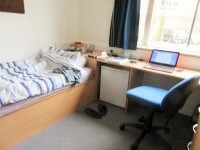 Students in university accommodation are not allowed to keep vehicles on campus. You are on Outside Access. Skip to the next section. 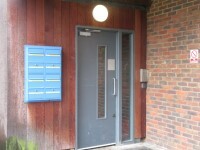 The width of the door opening is 76cm (2ft 6in). 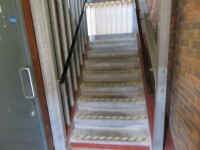 The floors which are accessible by stairs are G-1-2-3. 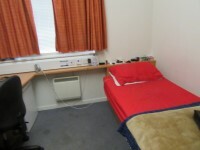 The establishment provides 1 accessible accommodation facilities with an ensuite and/or separate accessible bathroom. This information refers to 26A. 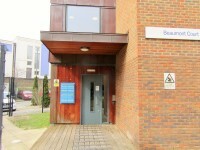 The accessible facilities are located in flat 26. The room number viewed was 26A. The width of the door to the room is 80cm (2ft 7in). 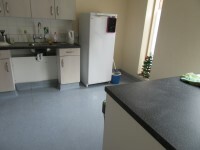 The dimensions of the clear floor space are 150cm x 204cm (4ft 11in x 6ft 8in). The bed is 43cm (1ft 5in) high. The measurement between the bed base and floor is 43cm (1ft 5in). There is a functional emergency alarm in the room. The dimensions of the bathroom are 213cm x 150cm (6ft 12in x 4ft 11in). The width of the door to the bathroom is 91cm (2ft 12in). 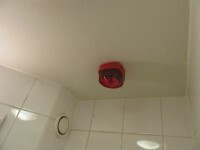 There is a functional emergency alarm in the bathroom. The height of the sink is 80cm (2ft 7in). The measurement of lateral transfer space is 132cm (4ft 4in). The mirrors are not placed at a lower level or at an angle for ease of use. Disposal facilities are not available. The shower seat height is 50cm (1ft 8in). The colour contrast between the external room door and wall is good. 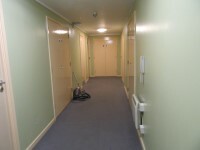 The colour contrast between the internal room door and wall is good. The colour contrast between the internal bathroom door and wall is poor. The colour contrast between the drop down rails and wall is poor. The colour contrast between the grab rails and wall is poor. Flashing fire alarms are in rooms. Vibrating fire alarms are in rooms. 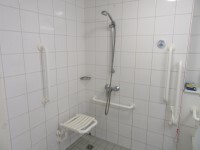 There are 1 accessible rooms with wheel in showers. Flats 9A and 9B are deaf adapted and have flashing alarms and vibrating pillows. Photographs 4, 5 and 6 show room 9A.